Enterprise Content Management (ECM) tools and strategies enable the capture, management, storage and delivery of an organisation's information, wherever that information exists. The book is essential reading for any executive contemplating or managing their information strategies and any enterprise architect involved in managing the delivery of an ECM solution. Stephen Cameron has spent his career working in engineering and information businesses as a vendor, a consultant and as a customer. With over 15 years in industry combined with many years in consultancy, he brings a wealth of experience and considered executive and architectural thought leadership to the world of ECM. Cameron certainly has a deep, deep knowledge of all things ECM, but writes in a refreshingly clear way, free of techno-speak and brochure-talk. If you are new to ECM and want to get into it, possibly the best way to start... Pure content, no marketing! 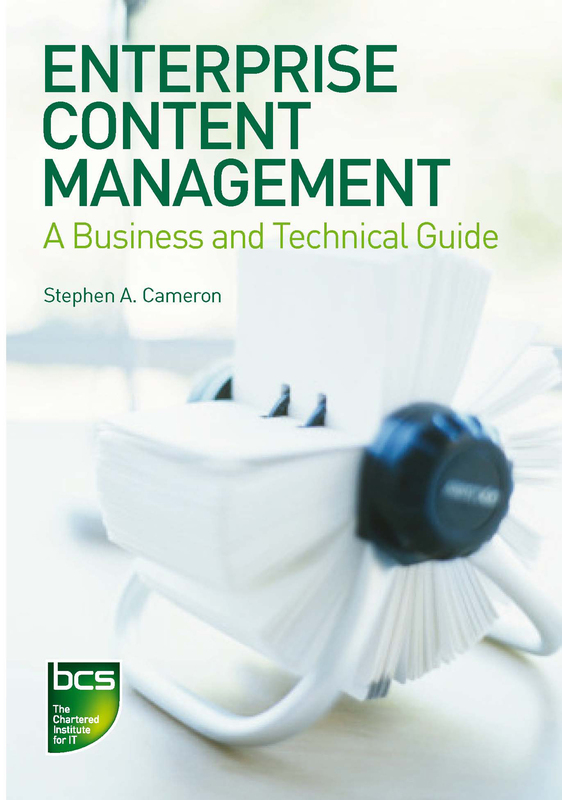 Stephen has created a unique perspective [...] providing insight and guidance that will allow better understanding of the requirements and constraints that surround enterprise content management. [...] he [brings] a style and passion [...] that is strangely compelling: you always want to hear more. This book is no exception. This book is written in a very engaging style, easily readable and extremely well researched. The author sets out to define the enterprise content management approach to developing the organisational repository of knowledge and to achieve clarity in the midst of a multiplicity of global viewpoints. A tall order ... but it has been delivered with panache!